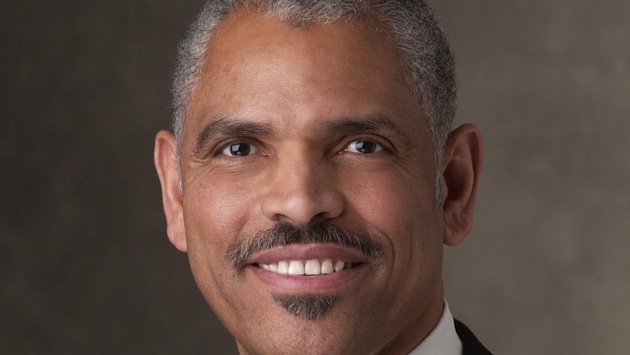 New Carnival Corp. CEO Arnold Donald held an unusual conference call with cruise industry journalists Jan. 24 to provide updates on company developments and discuss recovery efforts for Carnival Cruise Lines and Costa Cruises. He touched on many topics, reiterating plans to increase “collaboration and coordination” between the corporation’s 10 brands, the continuing effort to restore Carnival’s reputation after the Carnival Triumph incident last February, the recovery after the Costa Concordia sinking two years ago, and the company’s commitment to travel agents. Donald started the call with a 25-minute overview and then took questions, spending well over an hour with the press. He said he plans to hold such press conferences on a regular basis. In his opening statement, Donald touched on the many developments at the company, including the new Carnival Live program with performances by big-name stars, a partnership with Dr. Seuss, Holland America Line’s “Dancing with the Stars: At Sea” competition and B.B. King Blues Club, and Princess Cruises’ $20 Million ad campaign that includes the line’s first TV commercials in over 10 years. Carnival Cruise Lines also launched a major advertising campaign in September to help restore confidence among consumers before the busiest booking season of the year. The Fun Ship line’s reputation is about 75 percent higher now and making a faster recovery than the two or three years it often takes for brands to restore their luster after a negative incident. “That’s very encouraging, and we look to sustain that momentum,” he said. The Carnival Triumph situation generated a tidal wave of negative publicity after the ship lost power due to an engine room fire and had to be towed back to Mobile, Ala. The line followed up by announcing a $300 million program to enhance fire prevention, detection and suppression systems fleet-wide and to add back-up generators and other redundancies so hotel services can continue to operate when the main power system falters. The safety review includes all Carnival Corp. & plc brands and overall could cost between $600 and $700 million. Costa, too, is recovering from the Concordia disaster in January 2012, although the weakened economy in Italy and Southern Europe has added to the challenge. “The bottom line is, from an operating standpoint, the guest satisfaction standpoint, and the occupancy and yield standpoint, we are moving fast forward ahead,” Donald said. But such collaboration would remain invisible to consumers, because “each brand caters to a different psychographic,” although there might be more visible coordination at some point down the road, such as cross-brand loyalty programs. Donald also noted that Carnival “reached out in a big way to our travel agent professionals across the brands,” citing the Carnival Conversations program and other outreach efforts. “They have yielded good results and certainly contributed to some of the recovery we enjoy today,” he said. “We are committed more than ever on building partnerships with travel professionals, growing our business and their businesses. … We are committed to giving our travel professional partners the tools they need to succeed” such as the Vacation Guarantee, which gives refunds to unhappy passengers who disembark their cruise. “We’ve had very few takers of that,” Donald said. 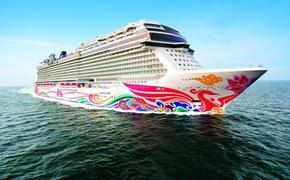 But it works to “give a push” to first-timers who are hesitant to take a cruise. The CEO also said it was unlikely that Carnival Corp. would get into the fast-growing river cruise segment. He noted that only 3 percent of the world’s population has ever taken a cruise, so there is plenty of room for growth on the mainstream cruise industry. “Cruising continues to be far and away the best vacation value there is,” Donald said. Follow me on Twitter at www.twitter.com/cruiseapalooza.